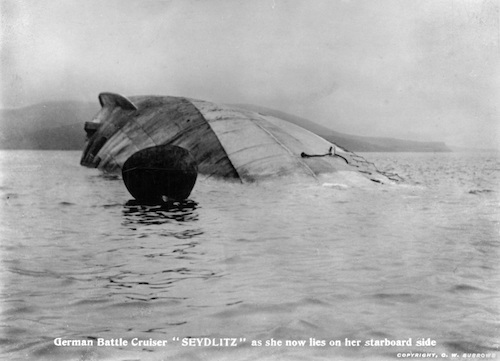 The German Battle Cruiser Seydlitz (pictured) was one of the ships scuttled in Scapa Flow almost 100 years ago. 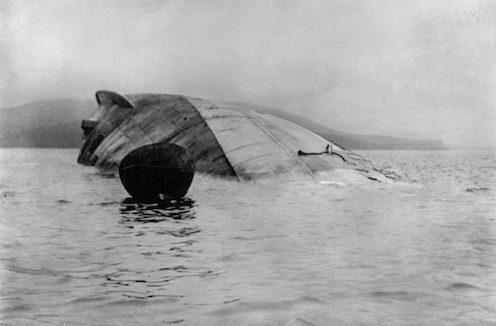 A special fund to help retell the remarkable tale of the scuttling of the German fleet in Scapa Flow almost 100 years ago has been launched by Orkney Islands Council (OIC). The naval disaster — an intrigue of crossed communications and desperation — remains one of the greatest loss of shipping ever recorded in a single day. Following the end of World War 1, Germany had to surrender most of its naval fleet as part of the Armistice agreement. A total of 74 ships of the German High Seas Fleet arrived in Scapa Flow for internment. On 21 June 1919, acting under the mistaken belief that peace talks had failed, Rear Admiral Ludwig von Reuter gave the command to scuttle the entire German fleet in the Flow — to prevent them from falling into the hands of the British and Allied forces. A total of 50 ships went to the seafloor. The next 12 months will see several projects both from Orkney and from international contributors reveal the historical significance of the scuttling, mark its impact and highlight the continued legacy in Orkney. Commemorations will remember the 13 German lives lost as a result of the internment and scuttling, the graves of whom are cared for by the Commonwealth War Graves Commission at the Lyness Royal Navy Cemetery, Hoy. Councillor Rob Crichton is chairman of the council’s education, leisure and housing committee: “The scuttling of the German fleet is a unique story which highlights both the pivotal role Orkney’s waters played during the Armistice, and the terrible tolls of war. Full information about how to apply can be found on the Council website here or by contacting Antony Mottershead, Arts Officer at Orkney Islands Council, on tel 01856 873535 or email antony.mottershead@orkney.gov.uk. The closing date for applications is January 18 at 5pm.